Saeed Shirzad, Iranian activist and member of Society against Child Labour has been on hunger strike for 29 days. He has responded to an earlier plea from the Mothers of Khavaran (mourning mothers of political prisoners who were executed) to end his hunger strike saying the only way he can end his hunger strike is when he can make the “voice of the voiceless” heard by the Iranian justice system. Mothers of Khavaran are the parents and advocates of thousands of political prisoners who were mass executed and buried in Khavaran Cemetery in the 1980s. The group, in concern for Shirzad’s health, has written to Shirzad asking him to end his hunger strike. Shirzad has been refusing food since 7 December 2016 and has sewn his lips together in protest to repeated mistreatment of prisoners in Rejai Shahr Prison in Karaj, Iran. His list of prisoner mistreatments includes repeated insults to families of prisoners, refusal to accept official letters of hunger strike which leads to lack of accountability from prison authorities, arrest of prisoners’ visitors in the visiting halls, refusal to transfer sick prisoners to appropriate health care facilities, beating of political prisoners and pressing of uncalled for charges against them as well as refusal to allow fresh air in the prison halls by sealing windows. Shirzad writes that in thirty days he will assess the impact of his hunger strike and will consider whether to end it or turn it into a dry strike by also refusing water. Mothers of Khavaran and a number of families of political prisoners have written to all Iranian political prisoners on hunger strike urging them to end their hunger strike. In their letter they have referred to the deaths of Hoda Saber and Skahrokh Zamani, two political prisoners who died in recent years from complications brought on by their hunger strike and say while they sympathize with their cause, they do not want them to fall victim to a similar fate as Saber and Zamani. Saeed Shirzad was arrested in 2014 and spent the first two months of his arrest in solitary confinement in Evin Prison without being availed of a lawyer or any contact with his family. Fifteen months after his arrest he was prosecuted for the charges of “assembly and collusion against national security” and sentenced to five years in prison. Shirzad is a children’s rights activist and among his charges were “assisting with the educational needs of political prisoners”. In his last appearance in court Shirzad left the proceedings in protest to the refusal of the court to allow the presence of his lawyer. He also protested the refusal of authorities to allow the removal of cuffs and chains from his hands and feet in court. 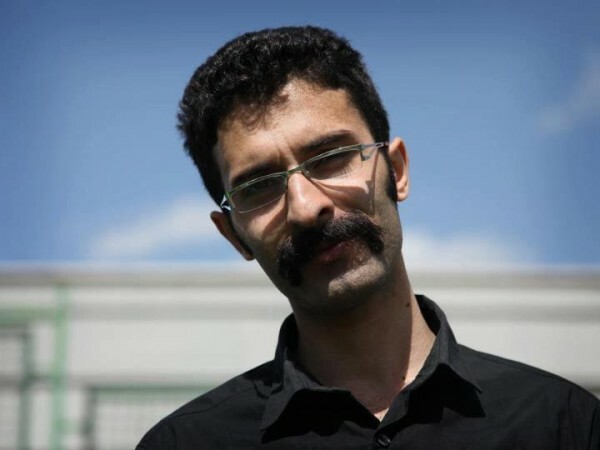 Shirzad was first arrested for his involvement in independent aid delivery to the victims of the deadly earthquake in Eastern Azerbaijan in 2012 and was released on bail after twenty days. His work with orphaned children and activities against child labour have also been become a basis of accusations by the authorities.